We have wonderful funders, sponsors and partners who support our growth and development. Want to learn more about them? Learn more about them, their mission and work. Teachstone and Tools partnered to collaborate in developing an alignment between the Pre-K CLASS and… CLASS and the Tools PreK program and fidelity measure, and co-presented on their work together at multiple conferences. 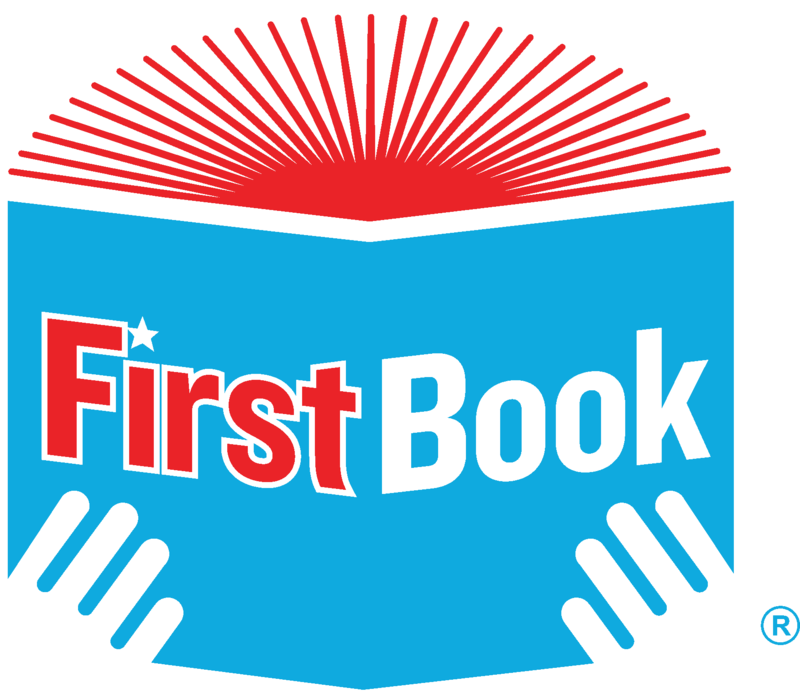 First Book is a national nonprofit social enterprise that promotes educational equality by providing educators with books, school supplies and other essentials needed to help kids learn. First Book is excited to partner with Tools of the Mind to make books and props that inspire imaginative play available to children across the country. To get connected to First Book’s very low cost resources, click here. The mission of the Center on the Developing Child is to drive science-based innovation that achieves breakthrough outcomes for children facing adversity. Founded in 2006, the Center catalyzes local, national, and international innovation in policy and practice for children and families. We design, test, and implement these ideas in collaboration with a broad network of research, practice, policy, community, and philanthropic leaders. Together, we seek transformational impacts on lifelong learning, behavior, and both physical and mental health. In our partnership with Tools of the Mind, we are supporting their program model evaluation and further refinement to increase their impact at scale. We are also learning from Tools, with key insights shared throughout the entire Frontiers of Innovation community, enabling other innovators to learn from their experience. Guided by the belief that all children should have an equal opportunity to thrive, the W.K. Kellogg Foundation (WKKF) works with communities to create conditions for vulnerable children so they can realize their full potential in school, work and life. WKKF supports Tool of the Mind’s innovative iScaffold app in an effort to improve the quality of both teaching and learning, so educators receive the support and training they need to deliver high-quality learning opportunities for all students. Since 2008, Rose Community Foundation has supported Tools in a number of areas including funding the organization’s infrastructure and the early development of the iScaffold. Chambers Family Fund is a private foundation focused on early care and education; women’s economic self-sufficiency; justice, equality and opportunity; and arts and culture. The foundation increases access to opportunities that improve the chances for success and quality of life for those most impacted by economic and social injustice. Chambers Family Fund partners with nonprofits, advocacy organizations, other foundations and government to expand impact. The foundation has funded Tools since 2009. Since 1975, Community First Foundation have been helping generous donors and innovative nonprofits come together to improve the quality of life and create positive change in Jefferson County, the Denver metropolitan area and beyond. The foundation is funding Tools’ continued work with JEFFCO public schools which has been using Tools in its PreK’s since 2004 and our continued innovation in the area of social-emotional development, including helping schools, children, and families address issues related to toxic stress. The Buell Foundation invests in programs that support the positive development of children through grants and strategic partnerships. The Foundation focuses primarily on the state of Colorado and concentrates its grantmaking on programs that benefit very young children between the ages of zero and five. The foundation has supported the Tools Denver Lab School and an expansion into other Denver early childhood programs. The mission of the foundation is to honor the legacy of its founders by supporting efforts that address the unmet human and social needs of individuals, families, and communities that have the least access to resources. The Foundation work is shaped by Jewish values. The Foundation has been a funder of Tools since 2010. The Daniels Fund, established in Denver by cable television pioneer Bill Daniels, is dedicated to making life better for the people of Colorado, New Mexico, Utah, and Wyoming through its grants program, scholarship were one of the first foundations supporting Tools when they funded the development of the Tools original website over 10 years ago and they have recently supported the creation of the two Tools Lab schools, one in in JEFFCO that contributed greatly to the development of teacher training materials. They also supported the expansion of Tools in Denver. Third Sector New England’s Fiscal Sponsorship Program has served as a supportive capacity-building partner to Tools of the Mind and many mission-driven groups over the past 50 years. We’ve worked with hundreds of social change projects, grassroots groups and coalitions by providing supportive management, financial and administrative services, and a home base from which groups can operate. We have been privileged to be a part of helping Tools of the Mind grow, change and thrive so they can have a greater impact in the world. Lakeshore Learning is dedicated to creating innovative educational materials that spark young imaginations, instill a sense of wonder and foster a lifelong love of learning. Lakeshore Learning’s Custom Solutions Department has partnered with Tools of the Mind to create durable, colorful and engaging materials that can be used in the classroom to implement all of the Tools activities learned in the Professional Development series. Teachers across the country have inspired Mary to create a comprehensive program that allows teachers to expand their use of the Magic Tree House (MTH) adventures. The program is designed to stimulate kids’ interest in subjects across the entire curriculum and assist teachers as they strive to achieve their curriculum standards. Program resources available online free of charge include a “Curriculum Key” that classifies each MTH book and its non-fiction companion Fact Tracker with regard to subject matter and core curriculum standards, a Reading Level Guide, and lesson plans for MTH books and Fact Trackers. In addition, through Mary Pope Osborne’s Gift of Books program, Mary provides for a gift of MTH books to children in Title 1 schools across the country. Visit the website to learn more! Pearson, the world’s leading education company, has been pleased to publish Tools of the Mind: The Vygotskian Approach to Early Childhood Education since 1996 through its Teacher Education and Development division. Pearson also publishes Assessing and Guiding Young Children’s Development and Learning, an early childhood text focusing on observation and assessment, by Drs. McAfee, Leong, and Bodrova. To view Pearson’s Early Childhood Education catalog, visit pearsonhighered.com/earlychildhoodeducation. The Piton Foundation, which is part of Gary Community Investments, is a private foundation established in 1976 by Denver oilman Sam Gary. It is committed to improving the lives of Colorado’s low-income children and their families by increasing access to quality early childhood and youth development opportunities and fostering healthy family and community environments. Piton funded the lab schools in JEFFCO and Denver. The Gates Family Foundation mission is to invest in projects and organizations which have meaningful impact in Colorado primarily through capital grants and Foundation initiatives that enhance the quality of life for those living in, working in and visiting the state. The Foundation seeks to promote excellence, innovation and self-sufficiency in education, healthy lifestyles, community enrichment, connection to nature and stewardship of the state’s natural inheritance. The foundation funded the development of the Tools iScaffold application and the implementation of the program in Colorado.